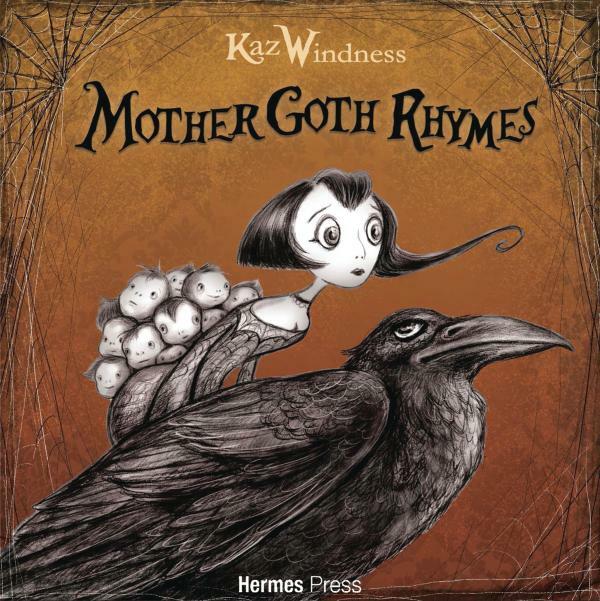 Hermes Press presents the chilling rhymes and illustrations of Mother Goth in her debut book, Mother Goth Rhymes! Mother Goth invites you into her world of grim and gruesome tales that celebrate the macabre with a selection of poems created especially for you! Feel your spine tingle with a new look at some old classics, from "Rock-A-Bye Zombie" to "Roses are Dead," these poems explore the dark underbelly of our childhood favorites. Don't be afraid of the dark, it's more fun there! The critically acclaimed, best selling complete reprint of The Phantom continues! Who would dare to venture into the deadly reaches of the Great Swamp? Few who had entered into its mists had emerged to tell of their experiences. Yet, if no one knew the Great Swamp, what better hiding place could he find? So it is that a pack of ruthless escaped convicts set up their headquarters in the Great Swamp, leaving them free to plunder the surrounding areas. 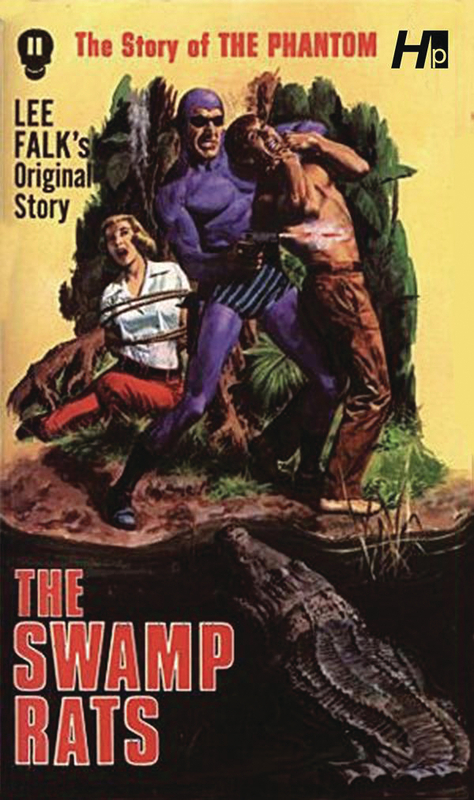 They call themselves the Swamp Rats - and only one man can meet the dual challenge of this evil gang and the treacherous swamp. He is the Phantom. The critically acclaimed, best selling complete reprint of The Phantom continues! 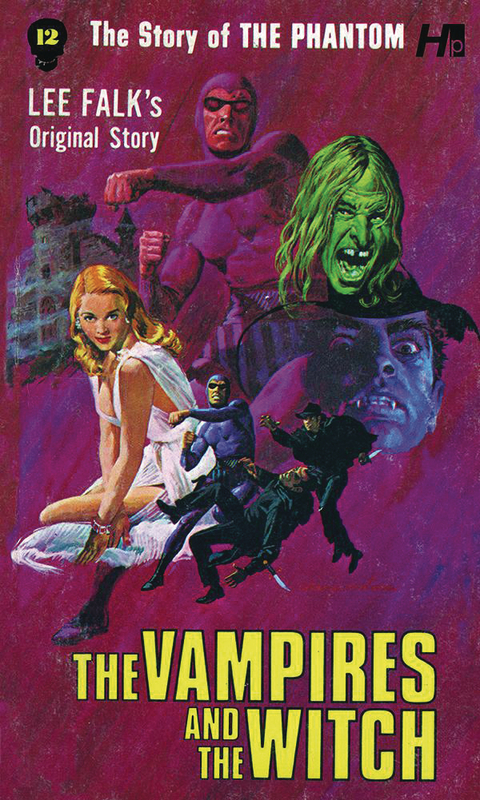 A plague of human vampires - a 300-year-old witch who, legends says, can only be freed from her chains and returned to youth and beauty by a Phantom kiss. Incredible in the twentieth century? Yet a tiny nation is terrorized by these ghastly beings who inhabit a medieval torture change beneath an ancient castle ruin. Follow the Phantom through a chilling web of superstition, fear, and deadly danger.